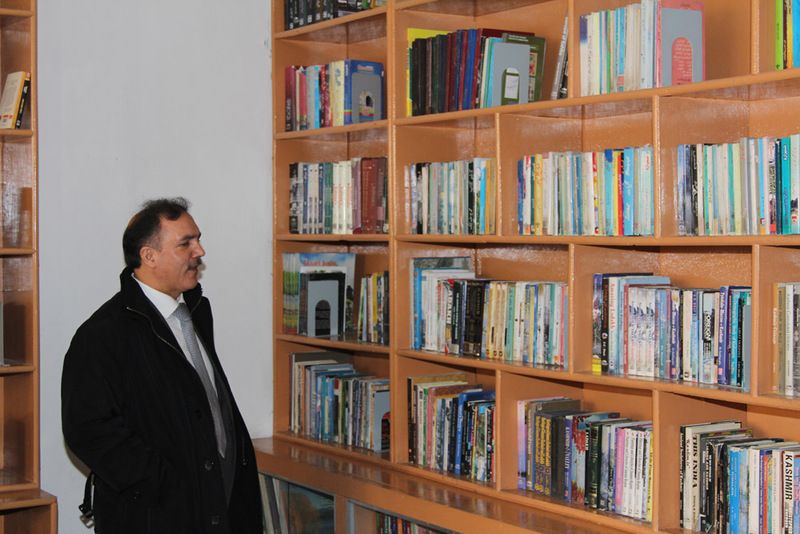 I was fascinated by the infrastructure created here which compares vastly with any of the best schools in the country. 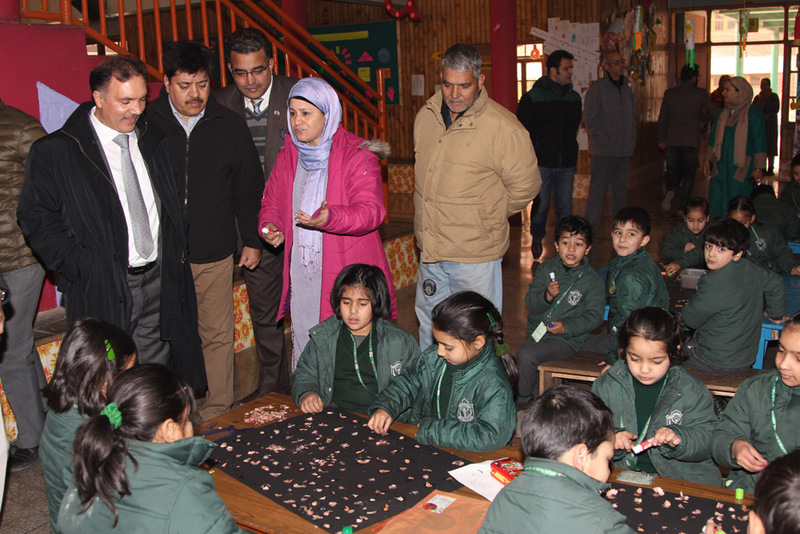 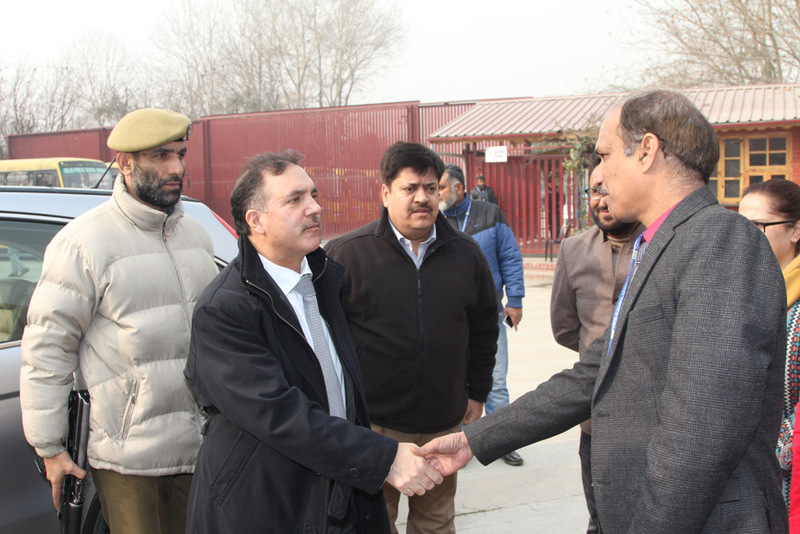 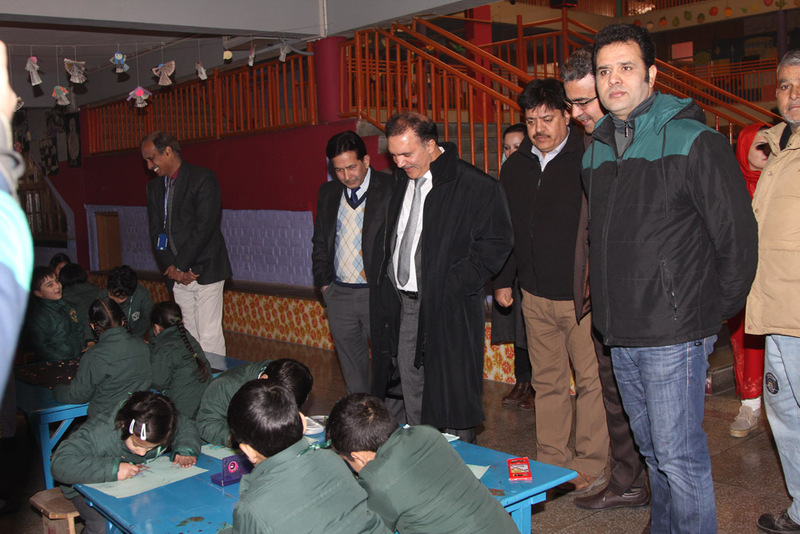 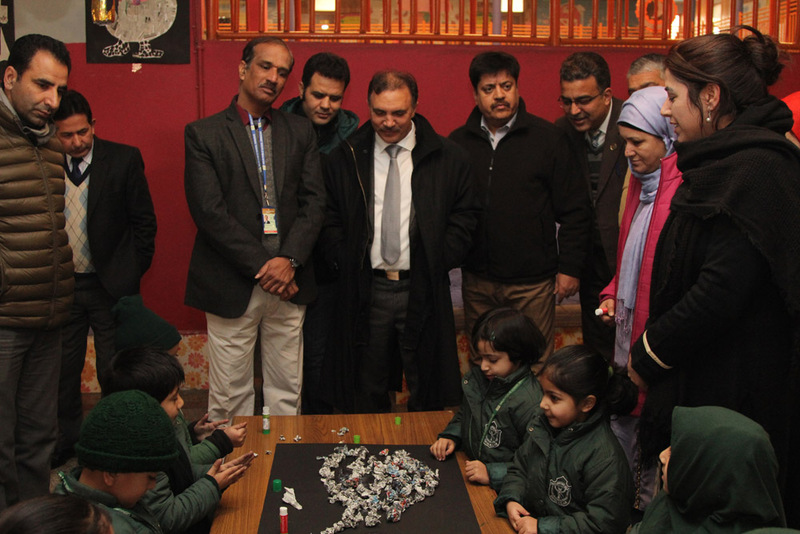 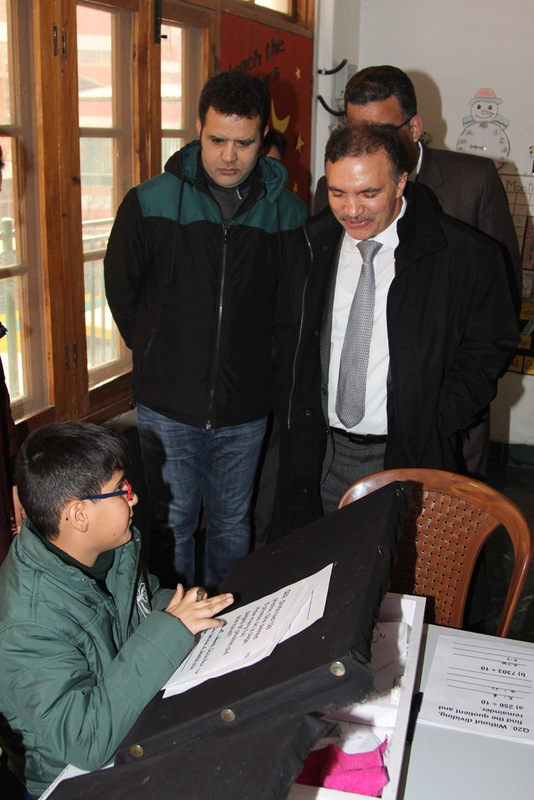 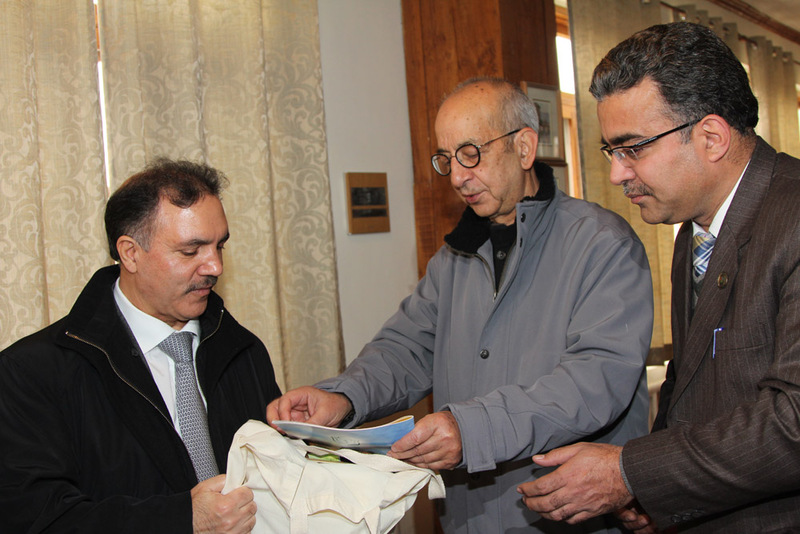 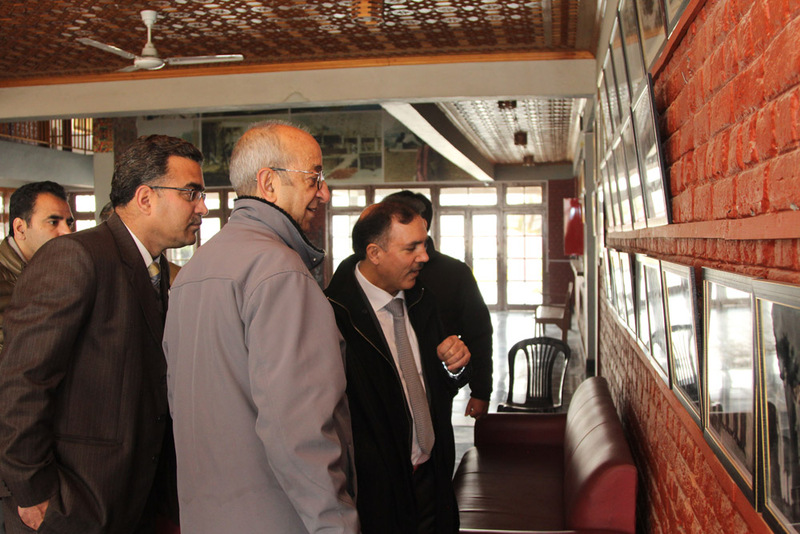 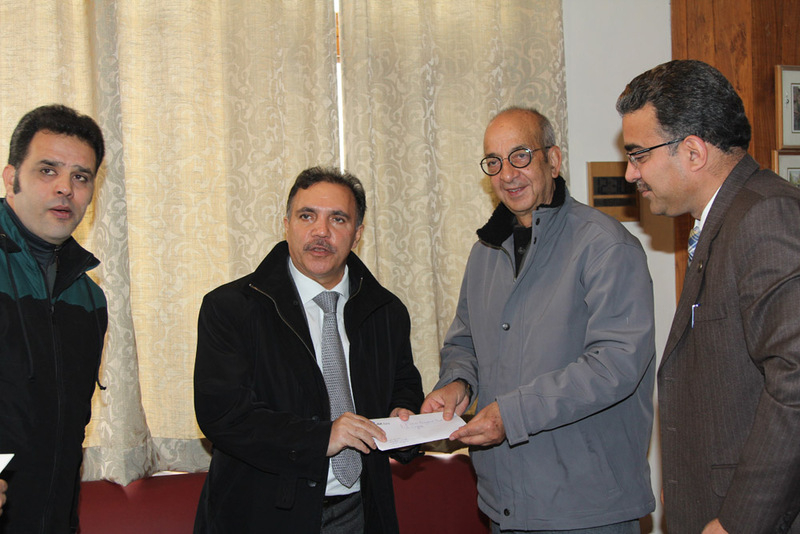 Parvez Ahmad – the Chairman of Jammu and Kashmir Bank paid a visit to the school today on Saturday – 9th December 2017. 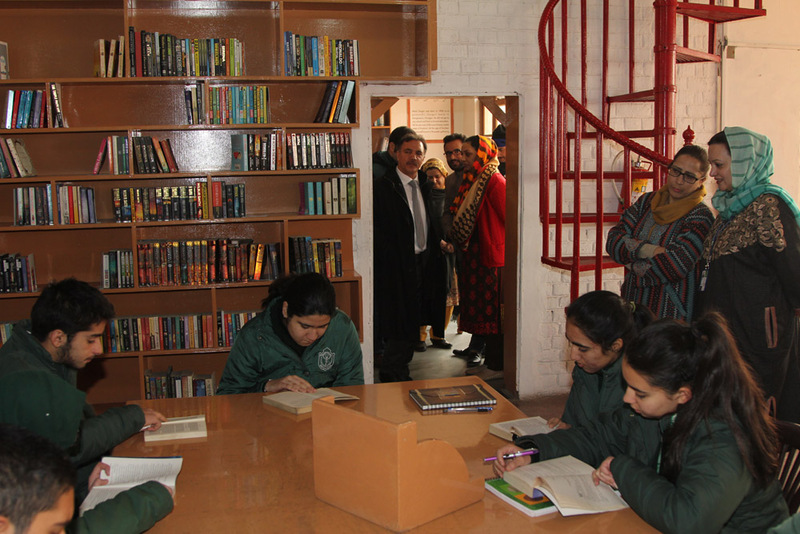 The school extended a warm welcome to him, and guided him around the school. 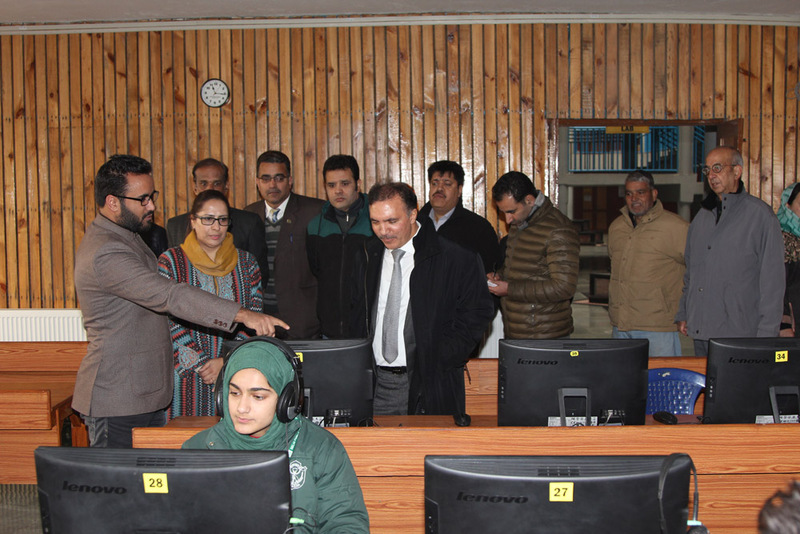 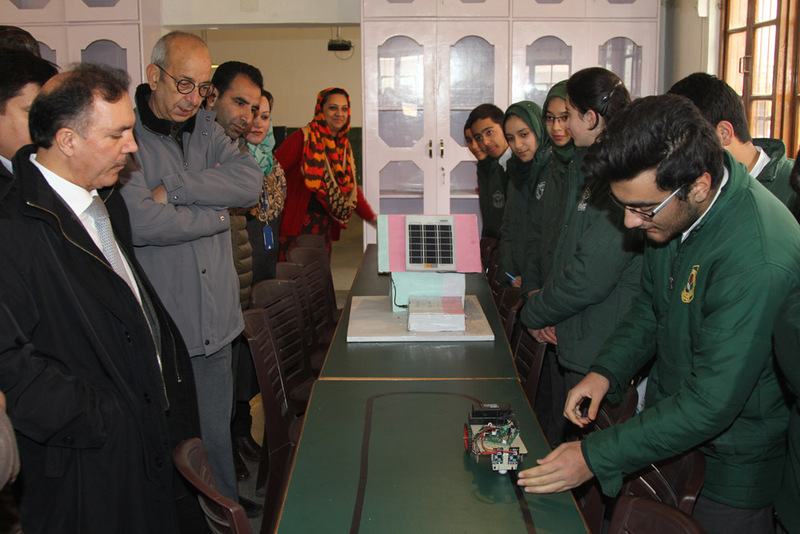 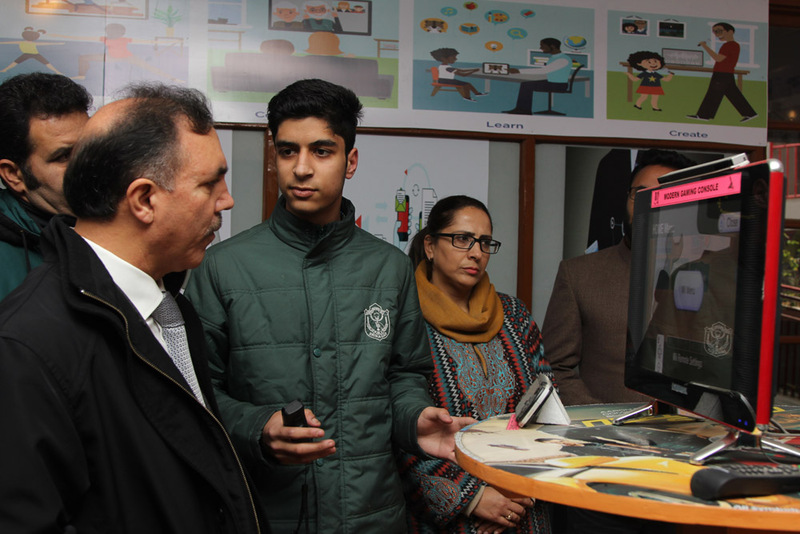 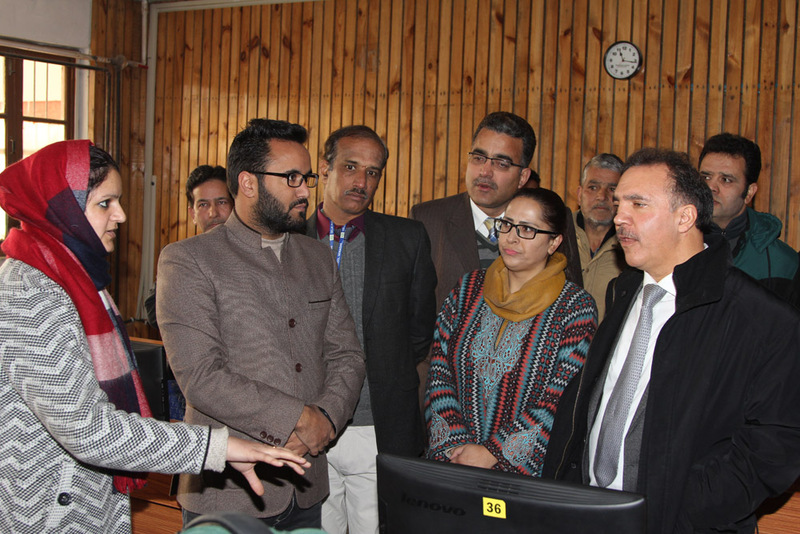 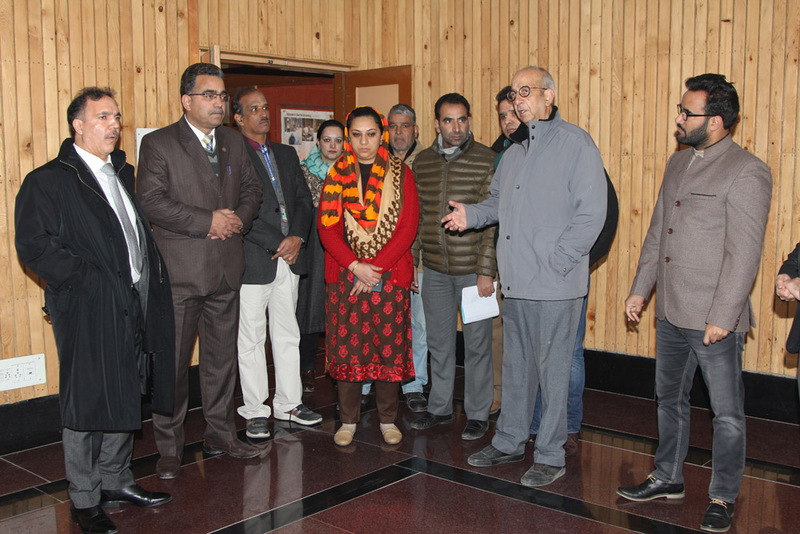 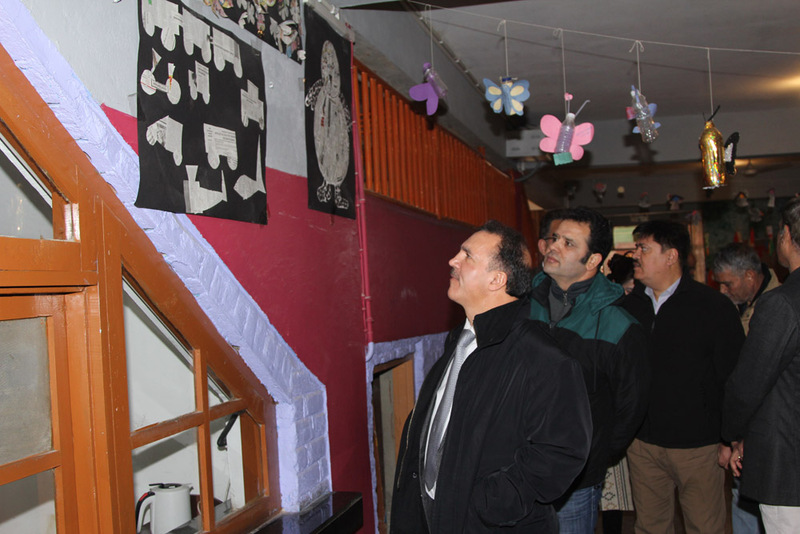 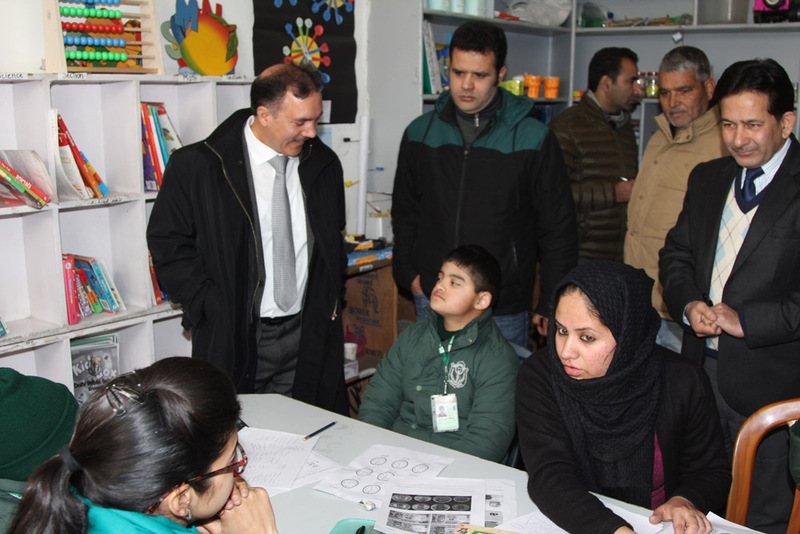 Accompanied by the Pro Vice Chairman of School Mr Vijay Dhar, Principal BS Murali, Vice Principal Shafaq Afshan and other dignitaries, he visited the various labs of the school including the State of Art English Lab established in corroboration with Encyclopedia Britannica. 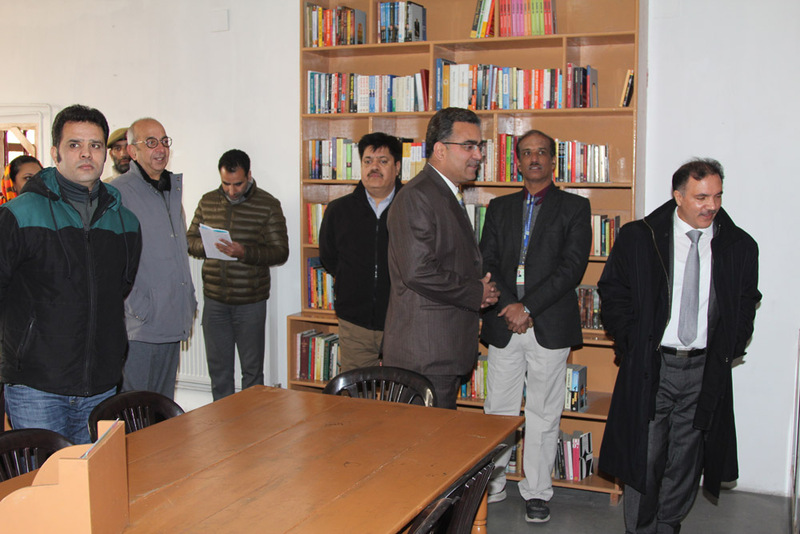 He also interacted with students in the ATL lab funded by NITI Ayog to encourage students to develop interest in STEM and internet of things. 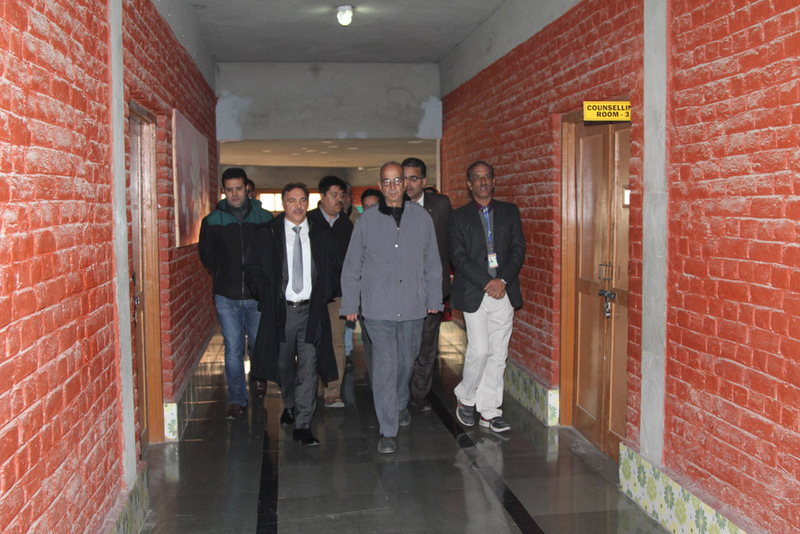 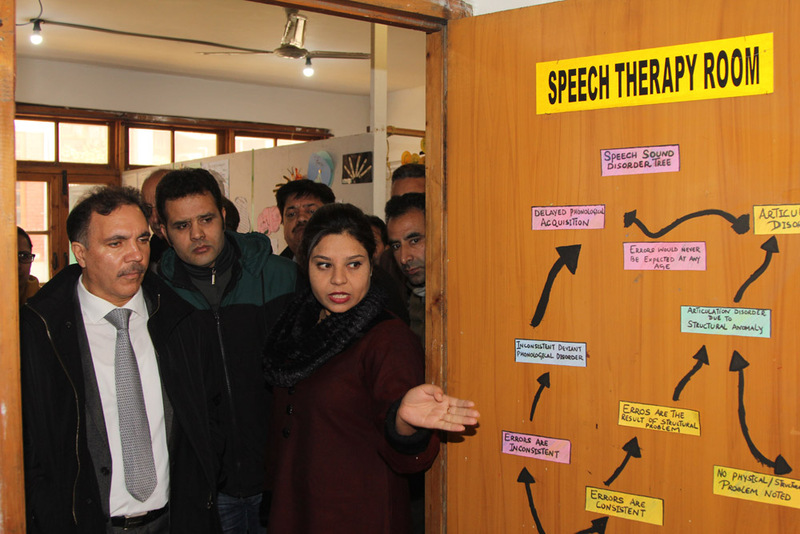 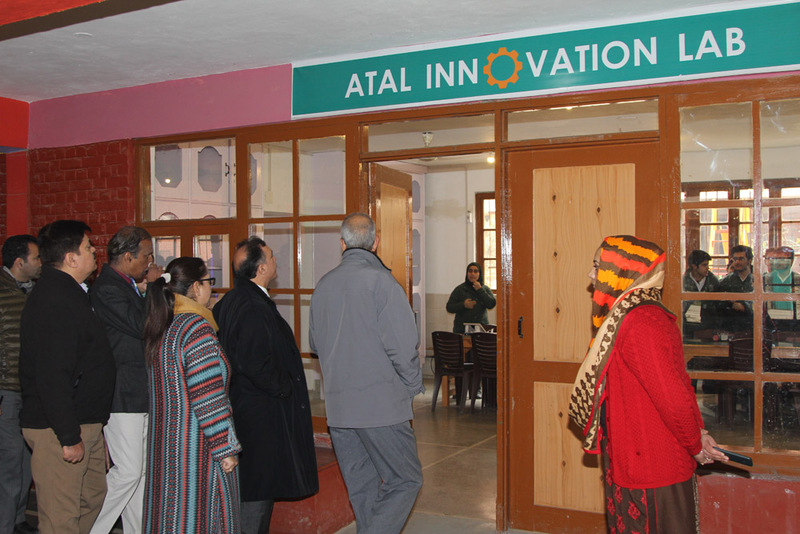 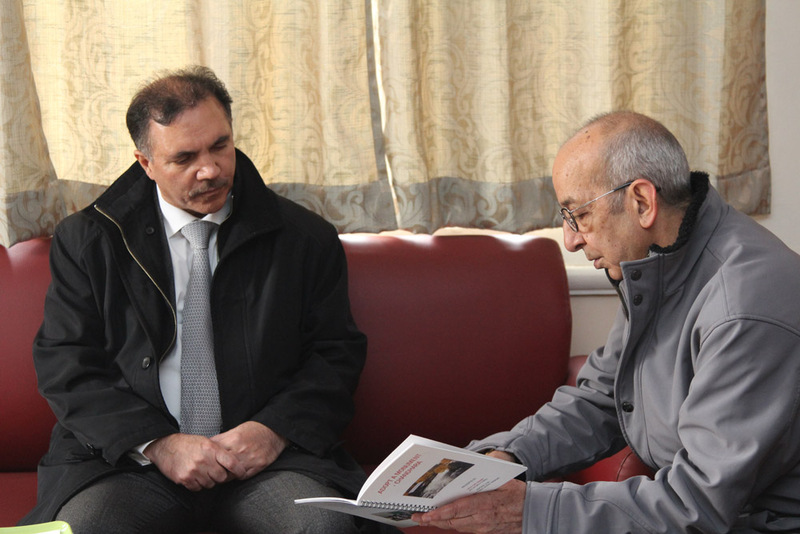 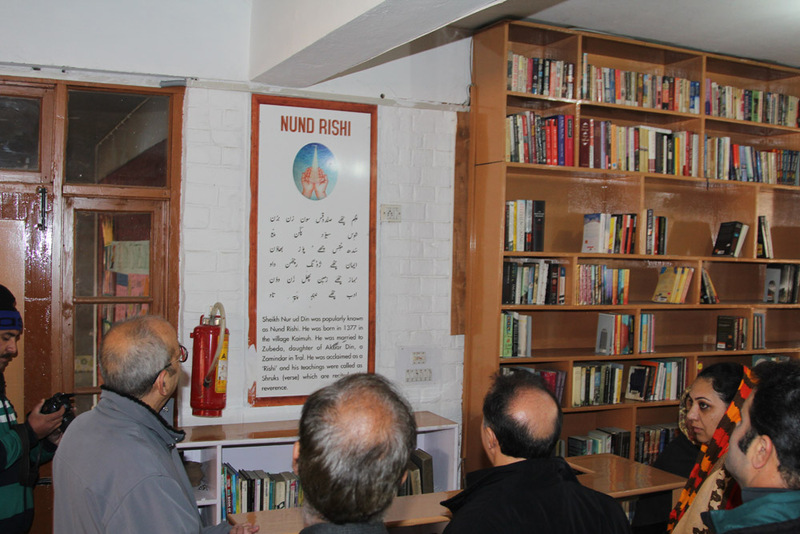 The chairman was also taken on a guided tour of the recently established Satya Devi Resource Centre for Blind, as well as its parent department – Special Educational Needs Department that caters to students with various learning and physical disabilities. 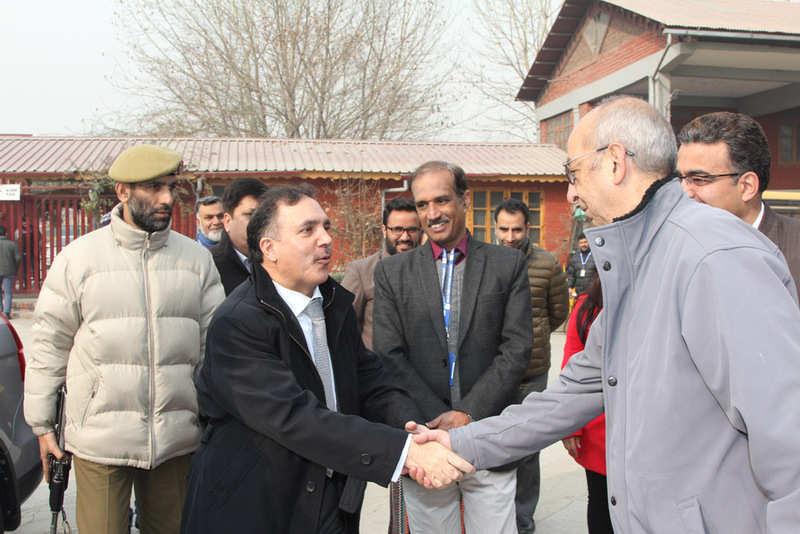 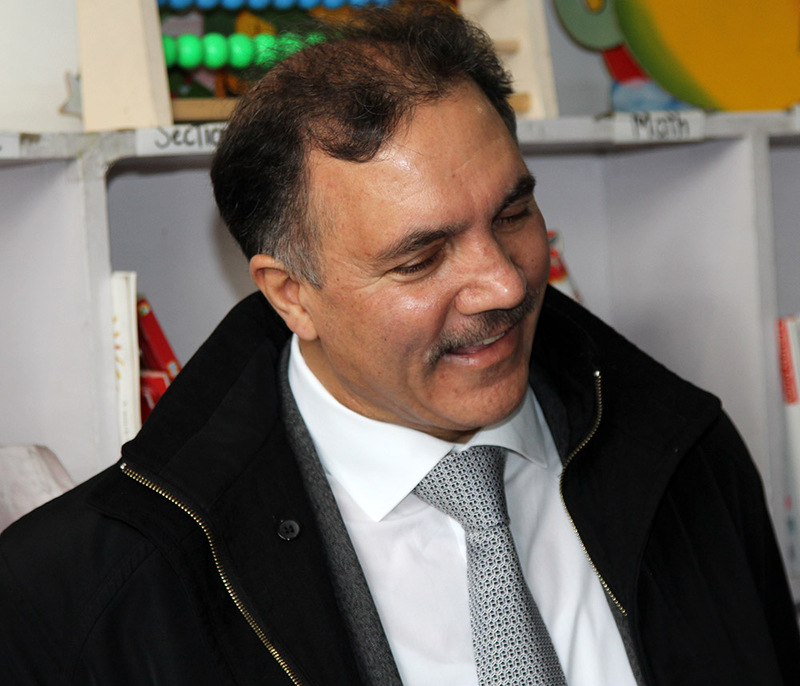 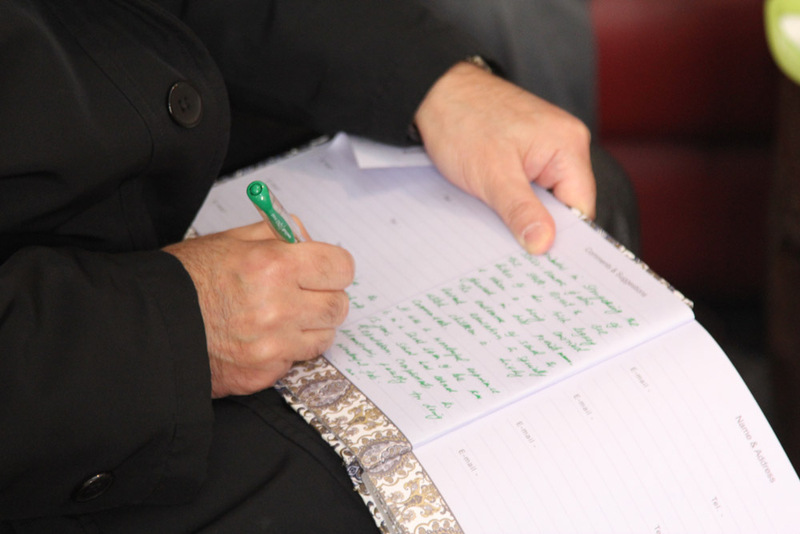 The Chairman expressed his delight at the impressive infrastructure created by the school, which places it in the same league as the best schools of the country, especially considering that the school is only fifteen years old. 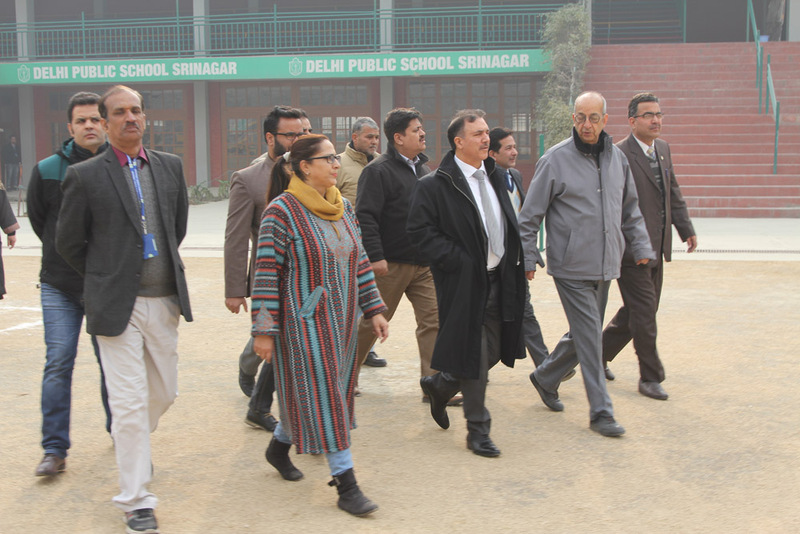 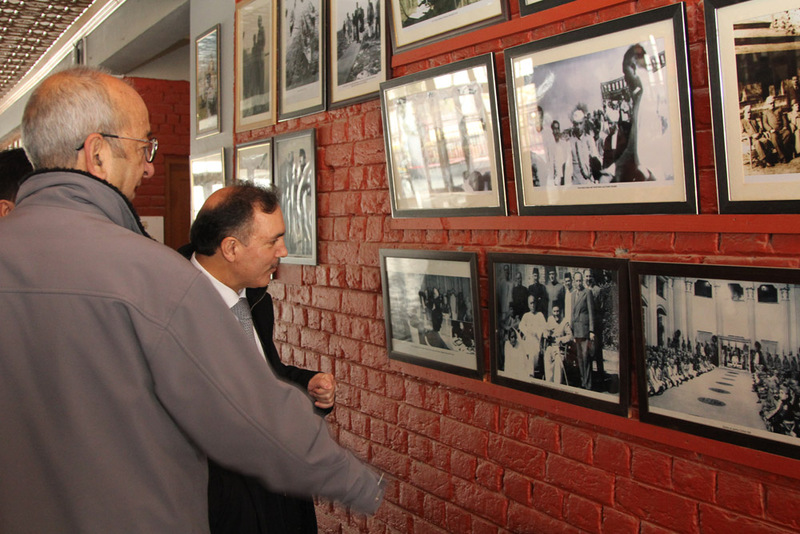 He viewed the school as the best “way to honour the memory of great visionary Late DP Dhar who is one of the greatest contributors in strengthening the socio-economic fabric of the state.”.